Everything the Marxists said about capitalism – exploitation of the many by a privileged few; a gross inequality of wealth and opportunity simply due to an artificial arrangement of control over the means of production; a manipulation of reality to make slavery seem as if it meant freedom – was, in fact, the nature and essence, of Soviet socialism. In August of 1993 I was in invited to participate in a conference in Vilnius, Lithuania on “Liberty and Private Business.” This was less than two years after the formal disappearance of the Soviet Union as a political entity on the map of the world. During our time there my wife and I were offered the opportunity to be given a tour of the building that had served as the headquarters of the local KGB, the infamous Soviet secret police. Our guide was a man who had been a prisoner in its walls in the late 1950s. The most nightmarishly part of the tour was the basement containing the prison cells and the interrogation rooms. As we reached the bottom of the staircase our guide pointed to a small closet-like space and said, “Here was the first stop on the victim’s journey to hell.” The prisoner would be stripped of all clothes, naked, and placed in this windowless, pitch-black closet for several hours. This was the start of the psychology of torture. Left naked in absolute darkness for hours, the victim could only have the most frightening imaginings about why he or she had been arrested, what might be done to them, and whether they would ever see their family and friends again. Finally, they would be taken out and brought to a nearby interrogation room. The KGB interrogators asked him or her why they were an “enemy of the people,” what acts of espionage or sabotage or dissent they had committed? Who were their accomplices, and what were their names? The interrogators would insist that the prisoner sign a confession, usually already prepared for his or her signature, specifying their “crimes” against “the people” and the Communist Party. They just needed the names of his or her co-conspirators. But, in reality, virtually all of those arrested and interrogated had committed no “crimes against the State,” other than being on the wrong end of the accusations of others, who were, themselves, either informers or who had given names under similar interrogation. Perversely, a claim of innocence by a prisoner was taken as proof that they were obviously hiding something. And, besides, it did not matter if the person was innocent or not; the KGB higher authorities expected “results” in the form of confessions and names to pass on to their superiors in Moscow. So the interrogators had to have them. The next stage of the process, if the confession was not forthcoming, was the use of physical torture in various excruciating forms until the prisoner met the interrogators’ demands. As further pressure, family members would be threatened with arrest and that they would be tortured or even killed right before the prisoner’s eyes if they did not confess. It might take days or even weeks, but most of those brought to that KGB basement eventually broke. They would, then, be told that they were being transferred to another prison. Some were, often on their way to a forced labor camp. But many would be taken to another room in the basement, on one wall of which was a meter stick. They would be told that they would be given a physical examination before being moved. Told to stand with their back against the meter stick to measure their height, a small trapdoor would open behind their head and a KGB executioner would shoot them dead. Their lifeless body would be carried to another room where they would be placed on a steel table and any gold fillings would be removed from their teeth. Their bodies would be carried out of the basement through a back door and placed into a truck to be buried in a nameless mass grave with others who went through the same conveyor belt of KGB horror. Just three weeks earlier, my wife and I had been in Austria and had visited the Nazi concentration camp at Mauthausen near the city of Linz. What struck us after our tour of the KGB headquarters in Vilnius, Lithuania was just how similar the Nazi and Soviet methods had been. Indeed, in Mauthausen were the same steps and stages of arrest, psychological terror, interrogation and torture, murder through a trapdoor behind a meter stick, and the removal of gold fillings. The only difference between the German National Socialist and the Soviet communist techniques was that the Nazis threw the dead bodies into ovens to reduce them to ash and bone chips before disposal. The Soviets simply discarded the bodies in mass graves. The entire history of communism in the twentieth century was that of tyranny, terror and torture. Not one country that followed the Soviet revolutionary model in the hundred years after the Bolshevik Revolution in November 1917 practiced anything noticeably different in form or content. Most socialist doctrines and movements are literally saturated with the mood of death, catastrophe and destruction . . . One could regard the death of mankind as the final result to which the development of socialism leads. Estimates suggest that as many as 64 to 68 million people may have died at the hands of the communist regime in these ways during the nearly 75 years of the Soviet Union. Others have suggested that as many as 80 million of such innocent people may have been killed, again, from starvation, torture, labor camp work or execution in China from 1949 when the communist regime came to power to 1976 when Mao Zedong died. For nearly all of recorded history, there have been people who have hoped for and dreamed about a world without want or worry, a world in which cruelty and corruption did not darken the societies in which human beings lived. Power and plunder, indeed, have been the hallmarks of virtually every community of men through the ages. But these dreamers wondered if there was not a better way. The liberation of humanity from poverty and tyranny only began in any meaningful way a little over three hundred years ago with the rise of what has become known as classical liberalism. A political philosophy of individualism began to take form that challenged and began a process of overthrowing the presumptions and practices of hereditary monarchies, religious rationales for governmental absolutism, and the stranglehold of Mercantilist regulations, restrictions and controls over almost every facet of economic life in such nation-states as Imperial Great Britain and Royal France. We should take a moment to recall the actual achievements of this earlier classical liberalism, especially in the nineteenth century: It campaigned for and brought about the abolition of the institution of human slavery, first in the West and then through much of the rest of the world. It spearheaded legal reforms that moved society toward a greater degree of impartial rule of law, and an equality of civil rights for growing numbers of citizens in the form of freedom of speech, the press, religion, and peaceful association. It also brought an end to the pervasive practice of cruel and unusual punishments by the agents of law enforcement. Classical liberalism reined in the powers and prerogatives of kings and princes by transforming political absolutism into either constitutionally-restrained monarchies or by replacing them with republican forms of representative government; and in both, over time, more and more members of these societies were extended the voting franchise until the principle of universal suffrage became the rule. In international affairs, classical liberals in the eighteenth and nineteenth centuries were the opponents of imperialism and war. They emphasized that kings and even parliaments may wax eloquent about national greatness, manifest destinies, and white men’s burdens, but it was the subjects and citizens of the imperial and colonial mother countries who had to fight the wars, suffer the human losses and bear the fiscal burdens of conquering and colonizing faraway parts of the globe. In the same process, they said, imperial adventures equally imposed hardships and foreign rule on those people in faraway lands who did not wish for foreign masters dictating and directing their destinies. One other accomplishment of that earlier era of classical liberalism was the fostering through international treaty a variety of formal “rules of war.” Nations at war were required to provide humane treatment for captured enemy prisoners; an occupying power was expected to respect the life and property of foreign, civilian non-combatants under their control due to the conflict; and there were to be restraints on the types and uses of weaponry permissible among “civilized” nations at war with each other to limit the death and destruction from combat, itself. Finally, classical liberalism opened the door and ushered in a never-seen-before epoch in a rising material human betterment for all in society, and no longer just for a small privileged few around the monarch or among the privileged religious orders. Modern free market capitalism was set free from the spider’s web of Mercantilist economic planning and control. Individuals were declared to have individual rights to their life, liberty and honestly acquired property as the means to a pursuit of personal happiness. Classical economists like Adam Smith explained that for there to be wealth and prosperity for the general population all that was needed is “system of natural liberty” under which each individual is free to follow his own self-interest in peaceful associative exchange in an open, competitive marketplace. With an emerging interdependent system of division of labor the only way to improve one’s own circumstances is to apply one’s talents and abilities to producing and offering on the market those things that others want and desire as the peaceful means of earning the financial wherewithal to, reciprocally, purchase from those others the goods and services desired for one’s own goals and purposes. Respected individual rights, private property, and free markets enabled the beginning of a new dawn for humanity: mass production for the mass of mankind, brought about by the profit-motive as each individual, in their own self-interest, had to devise ways to make new, better and less expensive goods in the peaceful rivalry of market competition. The entrepreneurial spirit was set free from the dead hand of state control. And the economic revolution that has resulted in so much of the economic plenty and prosperity that we so easily take for granted was set in motion. Of course, the transitional process from general poverty to widening prosperity in the nineteenth century occurred slowly over time in the West, with not everyone simultaneously experiencing the improvements or to the same degree. Rising prosperity and the potential for even more plenty existed side-by-side with highly visible remaining poverty along with those whom the capitalist engine of betterment had not yet noticeably touched. The idea of communism – the common sharing of productive property and its resulting output – is as old as the ancient Greeks and Plato’s conception of the ideal Republic in which the guardians all live and work in common under the presumption that a radical change in the social institutional setting will transform men from self-interested beings into altruistic servers to some defined needs of society as a whole. This gets us to a fundamental difference and distinction in the conception of man in the classical liberal versus socialist worldviews concerning men and mankind. Does man have a basic and invariant human nature that may be multi-sided and complex, but no less fixed in certain qualities and characteristics? Or is human nature a malleable substance that can be remolded like clay in the sculptor’s hands, by placing human beings into radically different social arrangements and settings? Classical liberals have argued for the former, that human beings are basically what they are: fairly reasonable, self-interested beings, guided by goals of personal improvement and betterment as the individual comes to define those for himself. The social dilemma for a humane, just and widely prosperous society is how to foster a political and economic institutional order to harness that invariant quality in human nature so that it advances human betterment in general rather than used to plunder others. The classical liberal answer is, basically, Adam Smith’s system of natural liberty with its open, competitive free market order, as earlier explained. Indeed, they raised to the ultimate human societal ideal a world in which the individual would live and work for the collective, the society as a whole, rather than only for his own bettered circumstances at the presumed expense of others in society. Socialism heralded the ethics of altruism. But the core conception of the coming paradise-on-earth is that man’s nature could and should be made to change. There are few places in Karl Marx’s writings in which he actually speaks of the institutions and workings of the socialist society that will come after the downfall of capitalism. One is in his 1875 work, Critique of the Gotha Program, the policy agenda of a rival socialist group that Marx strongly disagreed with. The dilemma, Marx explains, is that even after the overthrow of the capitalist system, residues of the previous system would permeate the new socialist society. First, there would be the human remnants of the now discarded capitalist system. Among them would be those who want to restore the system of worker exploitation for their own ill-gotten profit gains. Equally a problem would be the fact that the “working class,” although freed from the “false consciousness” that the capitalist system under which they had been exploited was just, would still bear the mark of the capitalist psychology of self-interest and personal gain. In other words, until the masses, the workers, are freed from the individualist and capitalist mindset that they had been born into and mentally made to act within, they needed to be “reeducated” by a self-appointed political elite that has liberated their minds, already, from the capitalist false consciousness of the past. In the name of the new socialist-era freedom-to-come, there must the reign of a dictatorship made up of those who know how humanity should think, act and associate in preparation for the full communism waiting ahead for mankind. At the same time, the dictatorship is necessary to suppress not only any attempts by the former capitalist exploiters to restore their power over the, now, socialized property they used to own. These voices from the capitalist past also must be prevented from speaking their self-serving lies and deceptions about why individual, self-interested liberty is morally right, or that private property serves the betterment of all in society including workers, or that freedom means those “bourgeois” liberties of freedom of the press, or speech or religion or democratic voting. The masses must be brought to, indoctrinated in, the “true” consciousness that freedom means the collective ownership and direction of the means of production and the selfless serving of society that the socialist revolutionary vanguard in charge knows to be true. This also explains why the socialist phase of the “dictatorship of the proletariat” could never end in any of the Marxist-inspired revolutionary regimes over the last one hundred years. Human nature is not waiting to be remolded like wax into a new human form and content. Human beings seem generally not be hardwired to be altruistic, selfless eunuchs. Thus, self-interest always rises to the surface in people’s conduct, and if it is to be ethically denied, there must be political force to keep repressing it and trying to constantly extinguish it. In addition, as long as there were capitalist enemies anywhere in the world, the dictatorship of the proletariat had to be preserved in the socialist countries to assure that the reeducated minds of the workers already lucky enough to live under socialism were not re-infected by capitalist ideas coming in from outside the people’s collectivist paradise. Hence, the “iron curtain” of censorship and thought control in the Marxist parts of the world, in the name of the people over whom the revolutionary vanguard ruled. Also, once private enterprise was abolished through the socialization of the means of production and brought under the control and direction of the socialist government, a central economic plan was now essential. If not the profit-motived individual entrepreneurs in directing the private enterprises under their ownership to satisfy consumer demands guided by the competitive price system, then someone must determine what gets produced, where, when and for which purpose and use. The direction of “the people’s” collectivized means of production requires a centralized plan concerned with designing, implementing and imposing it on everyone for the good of the society as a whole. This means not only lumber and steel must be assigned a use in a particular place in the socialist society, but so must people. Hence, in the communist economies of the twentieth century the state’s central planning agencies determined who would be educated for what skills or expertise, where they would be employed and the work they would do. Since the state educated you, assigned you work and served as your only employer in that job, the state also determined where you would live; not only in what city, town or village, but what apartment in which government owned residential building would be made your abode. Recreational facilities, places for rest and vacations, the types of consumer goods to be produced and distributed where and for whom, these, too, were all centrally determined by the socialist planning agencies following the orders of the dictatorship of the proletariat. I would also like to point out that the very nature of socialism-in-practice in communist societies demonstrated the invariant quality of self-interested human nature that Karl Marx and other collectivists insisted in denying. The great German sociologist, Max Weber (1864-1920), offered an understanding of the evolution of socialist regimes in the twentieth century from revolutionary radicalism to a stagnant system of power, privilege and plunder, manned by self-interested Soviet socialist office holders. Max Weber, in his posthumously published monumental treatise, Economy and Society (1925), defined a charismatic leader as one who stands out from the ordinary mass of men because of an element in his personality viewed as containing exceptional powers and qualities. He is on a mission because he as been endowed with a particular intellectual spark that enables him to see what other men do not, to understand what the mass of his fellow men fail to comprehend. But his authority, Weber explains, does not come from others acknowledging his powers, per se. His sense of authority and destiny comes from within, knowing that he has a truth that he is to reveal to others and then knowing that truth will result in men being set free; and when others see the rightness of what he knows, their following his leadership emerges as the obvious and inevitable. Certainly Vladimir Lenin (1870-1924) fit that description. While many who met or knew him pointed out his either non-descript or even unattractive physical appearance and presence, most emphasized at the same time Lenin’s single-mindedness of being on a “mission” for which he had absolute confidence and unswerving determination, and due to which others were drawn to him and accepted his leadership authority. The . . . group that is subject to charismatic authority is based on an emotional form of communal relationship . . . It is . . . chosen in terms of the charismatic qualities of its members. The prophet has his disciples . . . There is a ‘call’ at the instance of the leader on the basis of the charismatic qualification of those he summons . . . There is no such thing as salary or a benefice. Disciples or followers tend to live primarily in a communistic relationship with their leader . . . Pure charisma . . . distains and repudiates economic exploitation of the gifts of grace as a source of income, though to be sure, this often remains more an ideal than a fact . . . On the other hand, ‘booty’. . . whether extracted by force or other means, is the other typical form of charismatic provision of needs. Only the members of the small group of enthusiastic disciples and followers are prepared to devote their lives purely and idealistically to their calling. The great majority of disciples and followers will in the long run ‘make their living’ out of their ‘calling’ in a material sense as well . . . Hence, the routinization of charisma also takes the form of the appropriation of powers of control and of economic advantages by the followers and disciples and the regulation of the recruitment of these groups . . . Correspondingly, in a developed political body the vassals, the holders of benefices, or officials are differentiated from the ‘taxpayers.’ The former, instead of being ‘followers’ of the leader, become state officials or appointed party officials . . . With the process of routinization the charismatic group tends to develop into one of the forms of everyday authority, particularly . . . the bureaucratic. I would suggest that in Max Weber’s analysis we see the outline of the historical process by which a band of Marxist revolutionaries, convinced that they saw the dictates of history in a way that other mere mortals did not, took upon themselves to be the midwives of that history through violent revolution. But as the embers of socialist victory cooled, such as in Russia after the revolution of 1917 and the bloody three-year civil war that followed, the revolutionaries had to turn to the mundane affairs of “building socialism.” Building socialism meant the transformation of society, and the transforming of society meant watching, overseeing, controlling and commanding everything. Hence, was born in the new Soviet Union what came to be called the Nomenklatura. Beginning in 1919, the Communist Party established the procedure of forming lists of government or bureaucratic positions requiring official appointment and the accompanying lists of people who might be eligible for promotion to these higher positions of authority. Thus was born the new ruling class under socialism. Ministries needed to be manned, Party positions needed to be filled, nationalized industries and collective farms needed managers assigned to supervise production and see to it that central planning targets were fulfilled, state distributions networks needed to be established, trade unions needed reliable Party directors, and mass media needed editors and reporters to tell the fabricated propaganda stories about socialism’s breakthrough victories in creating a new Soviet Man in his new glorious collectivist society. Contrary to the socialist promises of making a new man out of the rubble of the old order, as one new stone after another was put into place and the socialist economy was constructed, into the cracks between the blocks sprouted once again the universals of human nature: The motives and psychology of self-interested behavior, the search for profitable avenues and opportunities to improve one’s own life and that of one’s family and friends, through the attempt to gain control over and forms of personal use of the “socialized” scarce resources and commodities within the networks and interconnections of the Soviet bureaucracy. Since the state declared its ownership over all the means of production, it was not surprising that as the years and then the decades went by more and more people came to see membership in the Nomenklatura and its ancillary positions as the path to a more prosperous and pleasant life. In the end, the socialist state did not transform human nature; human nature found ways to use the socialist state for its own ends. The Kremlin ration, a special allocation of normally unobtainable products, is paid for by the top echelon at half its normal price, and it consists of the highest-quality foods. In Moscow, a total of 40,000 people enjoy the privilege of these special rations, in various categories of quantities and quality. There are whole sections of GUM – the huge department store that faces the Kremlin across Red Square – closed to the public and specially reserved for the highest of the elite, while for officials a rung or two lower on the ladder there are other special shops. All are called ‘special’: special workshops, special dry cleaners, special polyclinics, special hospitals, special houses, and special services. What a cynical use of the world! It is not an exaggeration to say that everything that the Marxists said was the nature of the capitalist system – exploitation of the many by a privileged few; a gross inequality of wealth and opportunity simply due to an artificial arrangement of control over the means of production; a manipulation of reality to make slavery seem as if it meant freedom – was, in fact, the nature and essence, of Soviet socialism. What a warped and perverted twisting of reality through an ideologically distorted looking glass! One nation, at least, will have to suffer . . . for the instruction of the world. It will be one of those practical lessons which alone can enlighten the nations who are amused with the dreams of happiness displayed before their eyes by the priests of the new [socialist] faith. 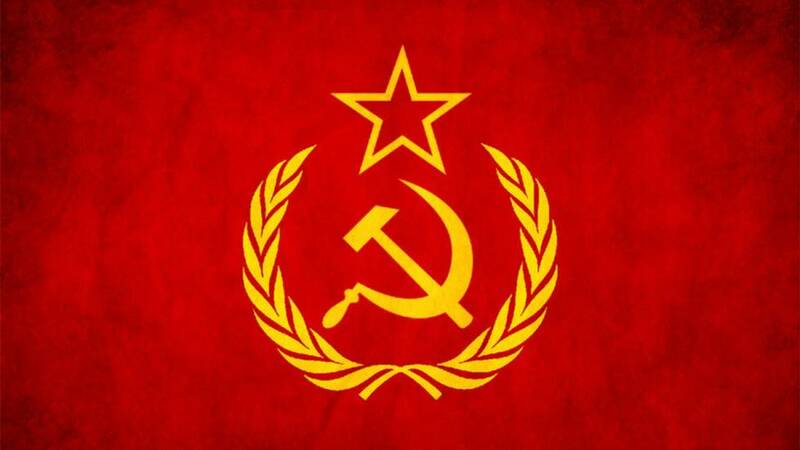 Not only Russia, but also many other countries in Eastern Europe, Asia, Africa, and Latin America have been forced to provide that “practical lesson” in the political tyranny and economic disaster that socialist society, especially in its Marxist permutation, offered to mankind. It stands as a stark demonstration of the disastrous consequences when a society fully abandons a political philosophy classical liberal individualism, an economic system of free market, competitive capitalism, and an acceptance of self-interested human nature functioning within a social arrangement of voluntary association and peaceful exchange. Let us hope that with this year marking the one hundredth anniversary of the communist revolution in Russia mankind will learn from that tragic mistake, and come to realize and accept that only individual liberty and economic freedom can provide the just, good, and prosperous society that humanity can and should have. Dr. Richard M. Ebeling is the recently appointed BB&T Distinguished Professor of Ethics and Free Enterprise Leadership at The Citadel. He was formerly professor of Economics at Northwood University, president of The Foundation for Economic Education (2003–2008), was the Ludwig von Mises Professor of Economics at Hillsdale College (1988–2003) in Hillsdale, Michigan, and served as vice president of academic affairs for The Future of Freedom Foundation (1989–2003).